A finished wheel mounted on the car minus the pin stripe and valve stem cover. The large nut (cast of brass) holding the wheel onto the hub had the remaining plating removed in an acid bath and then replated with nickel. 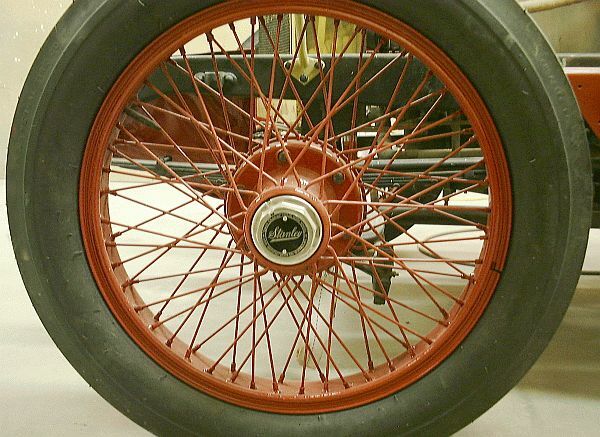 The Stanley ~ Houk Wire Wheel covers are reproductions of the originals.